Cashmio is a popular casino site available to UK slot players. It is part of the MT Secure Trade list of sites, which includes High Roller, Rizk and Guts. At Cashmio you can enjoy hundreds of slot games from all the top suppliers whilst you are invited to take part in daily ‘missions’ to earn free spins and bonuses. There are also daily slot tournaments with cash and spins to be won. The cashier is quick – under 24 hours and there are no fees. Join now and get 150 Happy Spins on Starburst with your first deposit. Quickspin Slots– This Scandanavian slots supplier specialise in Wilds of all kinds, from Sticky to Stacked and Expanding. They’ve got it covered! New games from their catalogue include Pied Piper, Northern Sky, Rapunzel’s Tower, Sticky Bandits, Volcano Riches and Mighty Arthur. Thunderkick Slots – For some of most innovative and creative new titles around you could do a lot worse than try Thunderkick’s games. For some high variance action check out Pink Elephants, Flame Busters, Fruit Warp and Birds on a Wire. Or, to check out something really hilarious, try their first ever release, Esqueleto Explosivo. There are also space-themed games like Arcader or just plain crazy like Not Enough Kittens. Big Time Gaming – These guys are the kings of high variance slots. Look out for the big payouts in the bonus rounds if you can get that far. Their best titles to date include Bonanza, Danger! High Voltage and White Rabbit. We also recommend you check out Starquest and Dragon Born. Microgaming Slots – If you’re a fan of these guys then you’ll enjoy what Cashmio has to offer. There are lots of old and new Microgaming slots to get your teeth into, including latest releases like Deco Diamonds, and classics like Immortal Romance and Thunderstruck II. Yggdrasil –If you like your slots whacky and out-there then you should have a browse through the Yggdrasil catalogue. Here you’ll find some really crazy titles like Vikings go Beserk, Rainbow Ryan and the progressive-fest that is Ozwin’s Jackpots. As well as all these games you’ll also find some great titles by the likes of Play n Go, Elk, NextGen and WMS. Cashmio Casino is primarily a slot site but they do offer a selection of Evolution and NetEnt Live Dealer games as well. The choice in the Live Suite includes Roulette, Blackjack, Baccarat, and Microgaming’s Dream Catcher. Once you have registered with Cashmio Casino you can start your journey with the deposit match bonus welcome offer – that’s 150 Happy Spins on Starburst Slot. The minimum deposit required to claim this bonus is £20. The maximum bet whilst meeting the WR is £5. Winning from Happy Spins are credited as bonus funds and must be wagered 45x before they can be withdrawn. There is no max win with your free spins!! NOTE: deposits by Skrill, Neteller and Paysafecard do not qualify for the bonus. Remember, if you decide at any point that you wish to forefeit the bonus you can do so by contacting support and having it removed from your account. All rewards are dished out at Cashmio by Benny the Bonus Manager! He’s just one of the crowd of little helpers to are there to assist you in your Cashmio journey! Just like other slot sites in the MT Secure Trade Group like Rizk Casino and High Roller, Cashmio is all about gamification – that means earning rewards as you deposit and wager your money. Earn your rewards by completing daily missions. Spin Mission– just spin as many times are you are asked to. Spin and Win Mission– you only progress when a spin outcome is a win! You can find your missions in your account page – hover over a mission card and it will spin round to reveal your task. Play 10 spins on Aloha! Cluster Pays by NetEnt and earn 10 free spins on Starburst. Win 20 times on Steam Tower and get 7 free spins on Drive Slot. HINT: Always check the minimum bet for a qualifying spin in your mission. Bigger missions have bigger minimum bets. The good thing about these treats is, you don’t have to complete your mission in one day – you can complete 50% and finish the rest another day. When you do complete one, the next day you will be given a fresh mission to complete. Checking your mission progress – it is possible to check your progress by looking at the bar at the bottom of each mission card. Look out as well for more bonus opportunities that appear in your account. These will be listed under My Bonuses and when you opt in to claim one it will appear as an Active Bonus showing how much your bonus is worth and how much more wagering is required in order to meet the WR. Slots Races – Cashmio Champions! You can also take part in Cashmio slots races and take your place on the Champions board. Spin and Win– earn 1 point for each winning spin. 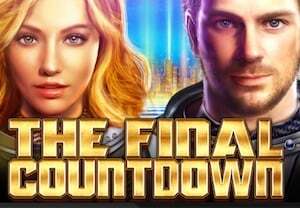 Consecutive Wins– earn 5 points for three winning spins in a row. BIG WIN– Get a 10x win and earn 25 POINTS. NOTE – the minimum value of a spin is 20p. You will find current and recently closed tournaments on your home page with a live leaderboard displaying the top 10 places and points scores. Next to the leaderboard is a Prize Table – hover over each chip to reveal the prizes for 1stto 10thposition. Some prizes are Free Spins and some are cash. Some are also non-cash prizes. Remember, Free Spins come with a 45x WR before they can be withdrawn. Cashmio Website – How Does It Look? Cashmio has been live since 2015. It was one of the early ‘gamified’ casinos that followed the lead taken by Casumo in creating an immersive experience. It has a strong brand identity and uses little mascots that look like the minions from Despicable Me! So the whole site has a nice playful feel to it – it’s also personalised to your location. For example, on the UK a London skyline is presented on the home page. One of the stand out features of the Cashmio site is the game menu. It’s always tricky to navigate your way around a massive selection of hundreds of games. So it’s great that each slot comes with a little bit of extra information to help you understand what it is about – that includes the minimum bet, maximum bet and number of paylines. There is also the opportunity to filter the list down to New Games only. And if you know exactly what you are looking for then just use the search box to type in the name of the slot. If you’re playing on the go, and many slots players are these days, then you’ll have no problems with this casino – more on that in a moment. Account and Cashier –You can use the My Casino link on desktop or mobile to open up a page with all your latest missions and progress on it. The game menu is also personalised with your favourites displayed so that you can jump straight into games that you like. Elsewhere the banking pages display your current real money and bonus money balances and a ‘left to wager’ value that shows you how much more spend is required to meet the WR of your latest bonus. Under the terms of UK Gambling Law and licenses from the UK Gambling Commission, all operators must provide players with the tools necessary to manage how much they spend. At Cashmio, these Responsible Gaming tools are available under Manage My Account in the My Casino area of the site. Set a loss limit, a deposit limit and a wagering limit – by a duration of 24 hours, 7 days or 30 days. Set a session time limit from 0 minutes up to 60 minutes in 5 minute intervals. A session time is a single period of time that you are logged into your account. Set a reality check to alert you after 15, 30 or 60 minutes. Have a ‘Time Out’ period in which you will not be able to log into your account – this can be 1, 7 or 30 days. Self-Exclude from Cashmio for 1 month, 6 months or permanently. It is also recommended that you use the Document upload feature in the My Account to verify your ID once you have made a deposit. This will speed up the time it takes to process any withdrawals you make – online casinos are required by law to verify a customer’s identity as part of anti-money laundering processes. It is also done to ensure that players are over 18 and have only one account. The MT Secure Trade group of casinos are well known for offering top class banking to their customers. That means fast payouts and a good selection of deposit and withdrawal options.For UK players it is possible to deposit by credit and debit card through Visa and Mastercard, or though eWallet payment options Neteller and Skrill, and through pre-paid card, Paysafecard. The minimum deposit value is £10 and the minimum withdrawal amount is £20. Once you have provided the necessary verification documentation cashouts from Cashmio are usually processed within 24 hours and sometimes a lot quicker. Here is a summary table of the cashier options at Cashmio Casino. There are two ways in which you can contact the support team at Cashmio. That is by Live Chat and by Email. The Live Chat is available between 9am and 11pm daily, and emails will be answered within those hours as well. There is no telephone support available at Cashmio. Cashmio has acquired a pretty decent reputation within the gambling industry for providing a good service to its customers. Whilst they do not have any industry awards to their name, they do have the following accreditations. Cashmio is part of the MT Secure Trade Ltd. group of casinos, itself a division of Gaming Innovation Group (GIG). MT Secure Trade has headquarters in Malta where it is a registered at GB Buildings, Penthouse, Watar Street, Ta’ Xbiex XBX 1301, Malta. MT Secure Trade hold a Malta Gaming Authority LIcesnse – MGA/CL1/954/2014 (19thMay 2014) and MG/CL1/955/2014 (19thMay 2014). The company are also licensed by the UK Gambling Commission (license 039575-$-319439-002.